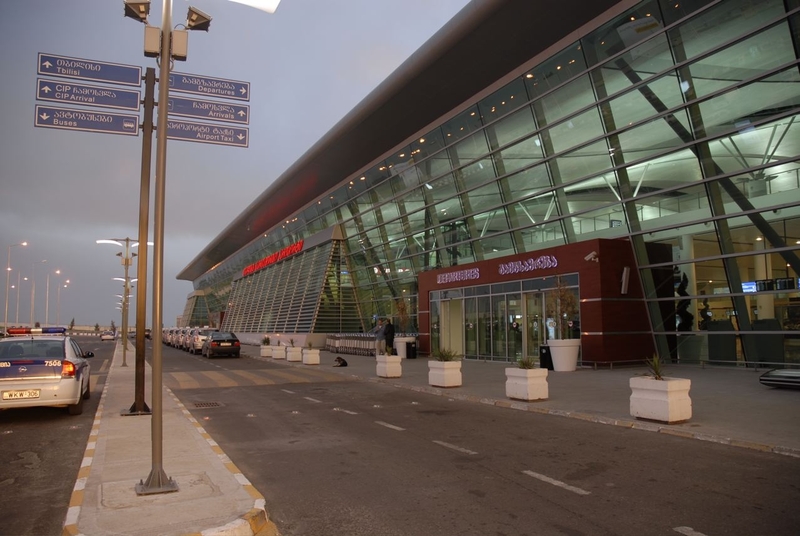 Tbilisi International Airport (Georgian: თბილისის საერთაშორისო აეროპორტი) is located 17km southeast of Tbilisi and is served by taxis, buses and trains. 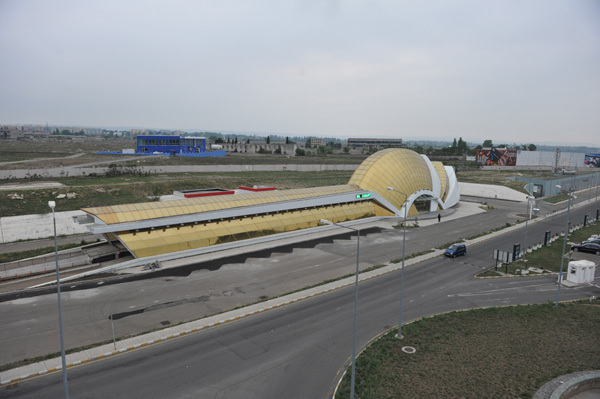 In 2007 a new train station was opened that links the airport to the Central Railway Station (Georgian: ვაგზლის მოედანი) in Tbilisi. 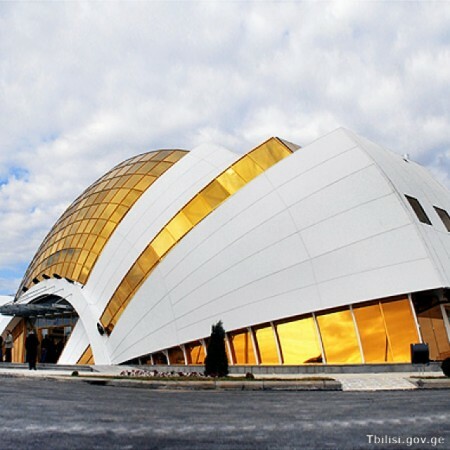 Located just 70 meters from the airport terminal, this stunning building, clad with golden glass, was designed by the Georgian company “Delta-project 2000”. 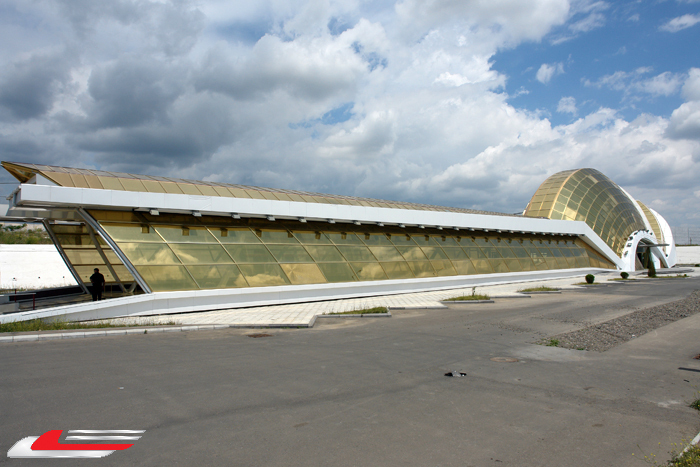 The journey from the airport to the Central Railway Station in Tbilisi takes 25 minutes. Tickets can be purchased at the train station or on the train. 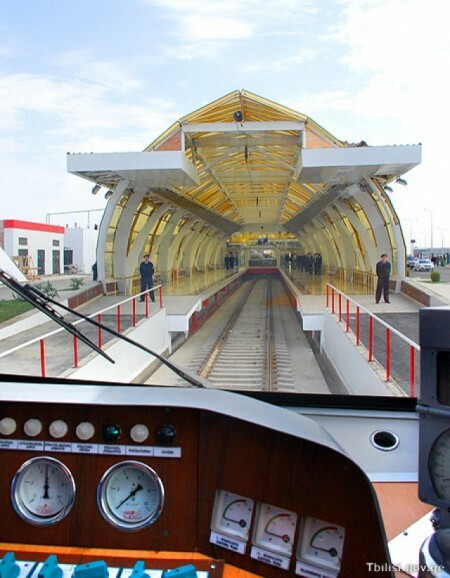 The modern and comfortable train can carry 100 passengers. The Georgian Railway train timetable can be found here. Do check train times before you travel as they may be subject to change. 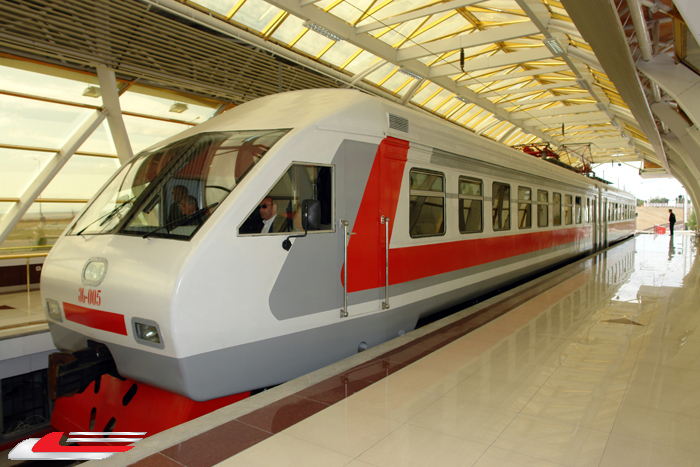 Georgia About recommends the Tbilisi Airport Railway! Wow!!! The train staion is very gorgeous and modern! and the train seems to be very new! 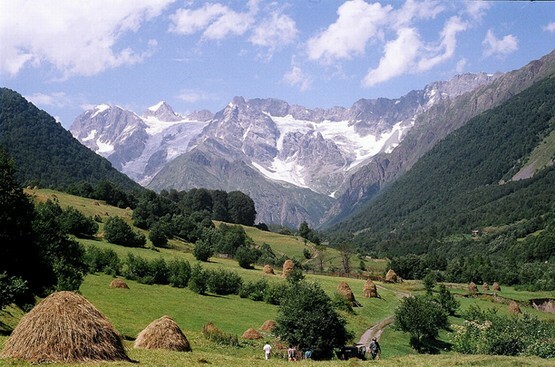 I’m sure that if I have any occation to visit Georgia, I’d definitely take a train to the central railway station in Tbiilisi! It is a very attractive train Kevin and the train station is stunning! The juxtaposition between the old and the new in Georgia is absolutely stunning! It really is – it’s like two worlds! I’m so impressed; in Ukraine nothing was fancy; and still it struggles; Belarus had good subway system, but it was such a struggle to travel in Ukraine and all! George seems to have its architecture together; amazing. I am so pleased that there is enthusiasm here for modern architecture – it really is stunning. It does Chuck and I am very pleased to be able to share it with people in other countries. The station looks nice, no question. But unfortunatly the station is – for the most flights – quite useless, because the trains runs only four times a day and only during daytime. 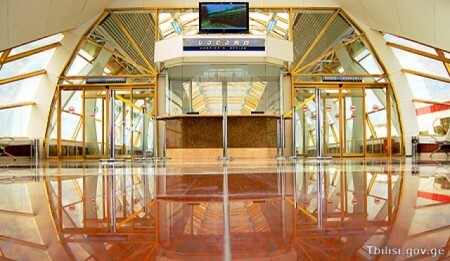 But from the Tbilisi Airport most of the flights arive and depart during night, between 2 a.m. and 6 a.m.. This was 2011/12, maybe it has changed now! Any information? You are right. I hope this is changed because the train is a very convenient and cheap way to get to the city.